Drunk driving is a problem among all age groups, but teens and college students tend to be at higher risk. 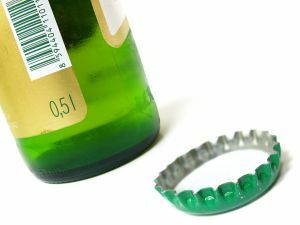 Schools have tried a lot of different approaches to discourage intoxicated driving among students, both to protect students and to keep the community safer. Recently, however, a program sat UMass is offering an innovative, albeit potentially problematic, solution that could make a difference. When a teen driver or college student causes a drunk driving accident, he or she can be held accountable for any injuries or losses that result. Both passengers and other motorists can file a lawsuit to recover compensation with the help of a Boston drunk driving lawyer. The new program that is offered by UMass Students as a means of preventing drunk driving relies on a smartphone application called Sobrio. Sobrio is a ride-sharing service that can be installed on a smartphone. The application connects students at UMass with other student drivers who can give them a ride home after a night of partying and drinking. The app allows someone who has had too much to drink to enter his location, his destination and the number of passengers who need to be picked up. The student entering the info can specify a time-frame, such as requesting to be picked up within 15 minutes. Student profiles are checked before a ride is arranged to reduce the risks and protect both passengers and student drivers. There are 26 drivers who schedule pick-ups on Thursday through Saturday nights. The students who are picked up will pay a small amount, described as a donation, which could be as little as $2 per person. The students can be picked up from bars, dorms, and house parties among other locations. Student organizers and supporters of the new application indicate that it may have kept between 400 and 600 students per week safe on campus. However, the program could raise serious questions regarding liability and regarding safety risks for both the student being transported and the driver of the vehicle. For example, it is well-known that a teen driver is at greater risk of becoming involved in an accident with multiple other passengers in the car. A younger student driver who picks up two, three or four drunken peers to take them home could become very distracted by these passengers. This could result in an accident occurring even if the motorist was sober. Fellow students don’t have a commercial driver’s license, and they may have only recently obtained their licenses themselves. They likely do not have liability policies like a professional driver would, and when they use their cars as a ride-share or taxi service, their car insurer may try to disclaim responsibility for collisions because the vehicle is being used for unauthorized commercial purposes. While the app and the goal of preventing drunk driving accidents is a laudable one, it is essential to consider these potential safety issues which could also cause a significant accident risk.